Business Law Group Tampa and St. Louis; Tampa and St. Louis Business Planning Lawyers Providing General Counsel Services For Businesses And Entrepreneurs. We focus primarily on business law and succssion-related estate and business planning. 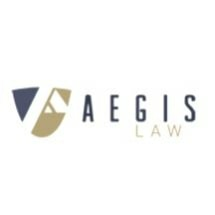 If you are faced with a legal business challenge, whether you are established or a startup, we at AEGIS Law, formerly Walk Law Firm, PA, are prepared to bring more than a century of experience to efficiently and effectively reach an ideal solution. We are a one-stop shop, providing general counsel services. We represent a diverse array of local, national and even international clients and focus on providing practical business counsel for businesses with small or nonexistent legal departments. We are lawyers that handles the purchase a sale of businesses, review contracts and draft contracts for small businesses, file trademarks, handle business disputes and help with succession and estate planning. Our offices are located in Tampa, St. Louis, Kansas City, Chicago and O'fallon and our attorneys are licnesed in more than a dozen states. We provide legal services to businesses throughout the United States and the World. As contract attorneys we draft agreements and review agreements drafted by others. Typical contracts for review include non-disclosure agreements or confidentiality agreements, non-competition agreements, non-circumvention agreements, license agreements and other intellectual property agreements, employment agreements, separation agreements, merger agreements, buy-sell agreements and other similar corporate formation and corporate dissolution documents. We can work with your form agreements or provide you form agreements. We are lawyers for Doctors, Financial Planners, manufacturers, distributors, retailers, technology, e-commerce and online businesses. It is our goal to allow clients to efficiently address legal challenges so they can get back to what matters — their business. We offer alternative legal fee arrangements including flat or fixed legal fees as well as more traditional hourly rate legal fees. Contact us at 314-202-5958 in Missouri or 813.999.0199 in Florida for a free, 20-minute, telephonic consultation with a licensed attorney.